I can't believe how quickly March went by! I can't believe how fast the year itself is going by! I'm already 4 months in to my nursing program, which means there is only 1 year until I'm done! In March I read quite a bit more than I thought I'd be able to and I'm very proud of all the books I managed to read. 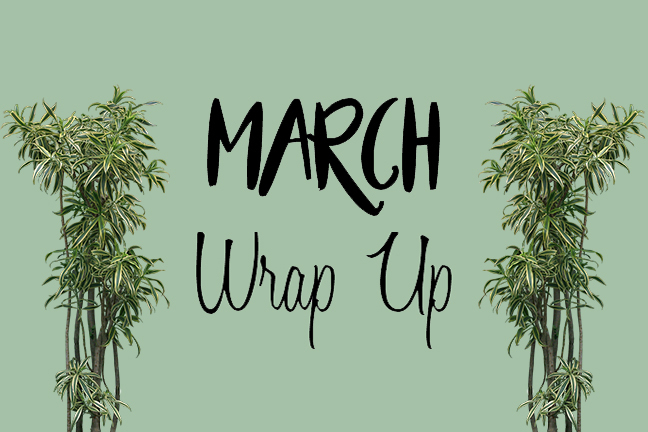 In this post you'll be able to see which series I was obsessed with this month, so much so that I completed the majority of the series within this month. Alright, let's get into it!! 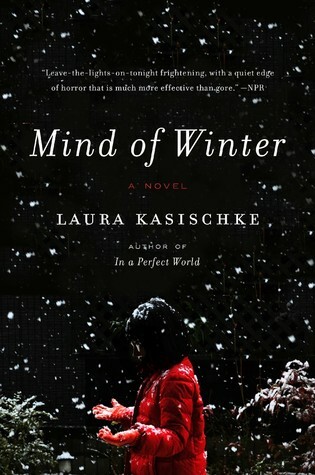 On a snowy Christmas morning, Holly Judge awakens with the fragments of a nightmare floating on the edge of her consciousness. Something followed them from Russia. Thirteen years ago, she and her husband Eric adopted baby Tatty, their pretty, black-haired Rapunzel, from the Pokrovka Orphanage #2. Now, at fifteen, Tatiana is more beautiful than ever—and disturbingly erratic. This novel did exactly what I needed to do. I finished it in a day and it was intriguing enough to keep me interested, and still reading. It was a creepy novel and it definitely made me scared to read the next page at times. All in all this novel was a great slump breakers, and totally worth the $3 that I spent on it. This novel was something that I'd heard great things about when working at Chapters, and when I read it, it was exactly what I thought it'd be. This novel made me cry, laugh, and feel so angry. 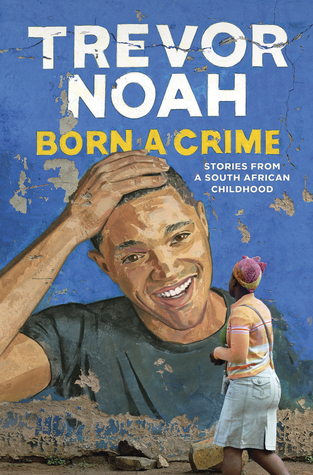 It told the story of a boy who was very well, Born a Crime, and the things he did throughout his life despite the fact that he shouldn't have been conceived. This novel is an eye opening novel about the things the news doesn't tell us about life in South Africa, as well as the many many things the people of South Africa (mostly the Black community in South Africa) had endured throughout their lives. I would recommend everyone to read this novel because it's a quick read and it's something that opens your eyes to the treatment of a group of people in the past, additionally it is something that can be applied even today with everything that is going on. 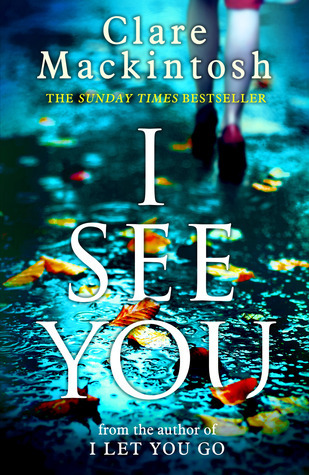 This novel is exactly what you'd expect a thriller to be... thrilling. I finished this novel in one day and it was incredible. I was on the edge of my seat for quite a bit of the book, and there were a lot of things that I couldn't have guessed by the end of it. The ending was so good, and really out of the blue. Thrillers that I read I feel like are always so interesting to me, I love the anticipation that a good thriller brings, and this novel did just that. 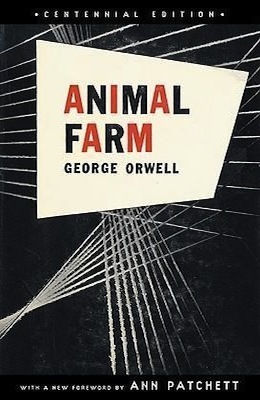 One night on an English farm, Major the boar recounts his vision of a utopia where his fellow creatures own the land along with the means of production and are no longer the slaves of humans. Before long his dream comes true, and for a short while all animals really are equal. But the clever pigs educate themselves and soon learn how to extend their own power, inevitably at the expense of the rest of the community. I read this only because I wanted something quick, and I wanted to go over this novel in a time that I want to read it for myself, not for some school assignment. This novel is actually such a treasure because it covers so many issues, but at the same time it's so interesting and funny to read you can't seem to put it down. If anyone hasn't read this (which I doubt is many people) definitely pick it up! I was going to add a synopsis for this novel, but is there really one?? 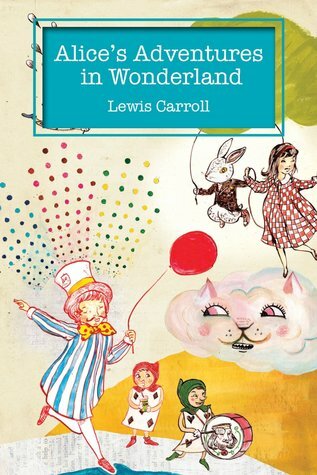 This book was something I'd never read. I've heard a lot about it (obviously) and I thought I'd finally get to it. I didn't like this book. Not at all. It was all over the place, and I understand that's kind of the point, but it just wasn't something that I enjoyed reading at all. I enjoyed the tea party scene, but other than that everything was so odd and not something that was my cup of tea (ha, get it). Here brings the most of what I read this month. 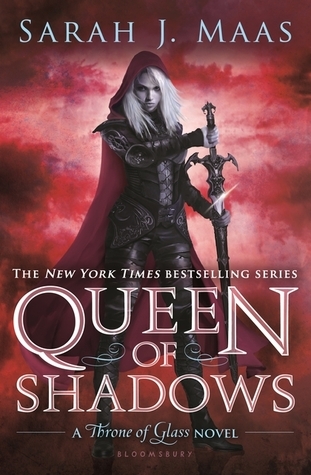 The Throne of Glass series. I had been putting this series off for so long after I read the first novel, and I'm so glad I finally decided to get back into it. This novel isn't one of my favourites of the series. I would say it's one of those novels that are just a filler to get more information out and have some character growth. 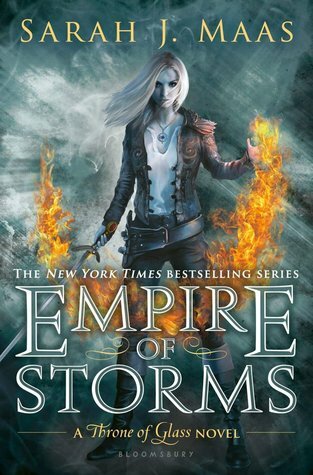 That being said, I did love the character growth in this novel and I did like how you got to know Celaena better throughout the novel. 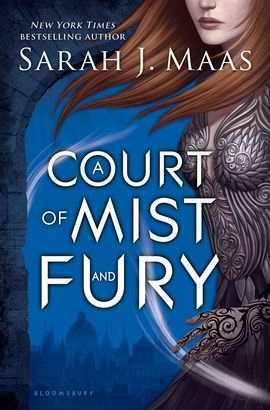 I don't want to say much more, due to spoilers, but it's something that I will willingly read to get to the next novel in this series. I loved it. I loved it. I loved it. I loved it. I loved it. I loved it. I loved it. I loved it. I loved it. This is the best novel of the series in my opinion. I don't want to say anything due to spoilers, but omg. Again, these novels just keep getting better. 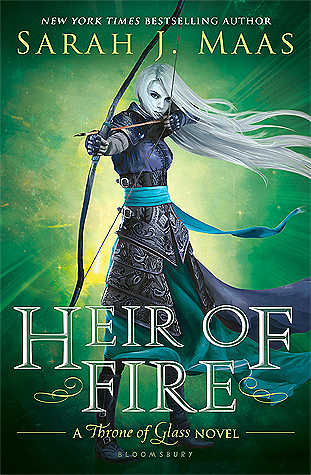 I still think Heir of Fire is my favourite (because of the romance duh), but this novel is so good too. Not gonna say anything, except everyone READ THIS SERIES! 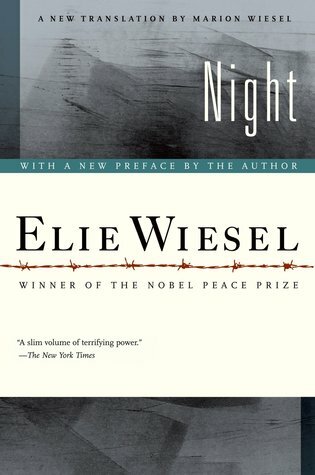 I took a break from my Throne of Glass books to read this novel by Elie Wiesel. This novel was heartbreaking yet eye opening. It told an in depth account of what happened in the concentration camps and it showed the true torture that these people that had gone through. I believe this novel is such a true and honest account of what it's like to be a human that is being broken down so badly that they don't understand the difference between right and wrong anymore. You guys know how I feel about this series. This book was just as good as the others. Despite this being finished on April 1st, I still wanted to include it because I read almost all of it in March. All my friends kept telling me that this novel was wonderful, so I figured why not. I didn't like it as much as I liked the first one. I know, I know. HOW?! It had a lot of cute romance, but that was about it. Don't get me wrong, I did enjoy parts of this novel, I just wish there were more parts that I enjoyed! The ending though.... I am SO excited for the next novel because of that ending. I anticipate the next novel being a whole lot better than the second and I cannot wait to read it! That ends my March Wrap Up. 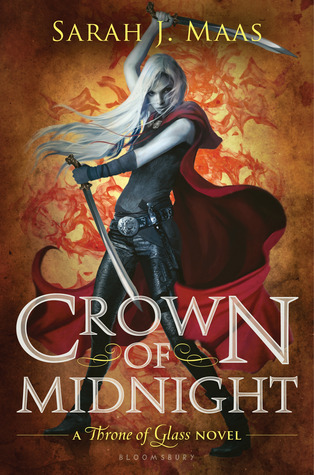 I hope you liked it, and I hope you all don't judge me too much for becoming obsessed with the Throne of Glass series. It was unavoidable. Comment Prompt: What were your top books you read this month? ?